EAGLE POINT IS AN OPPORTUNITY TO OWN A ONCE-IN-A-LIFETIME LEGACY PENINSULA ON PRESTIGIOUS WHITEFISH LAKE. THIS PRIVATE, GATED ESTATE HAS OVER 1,500 FEET OF SAND . . . HERE'S A ONCE-IN-A-LIFETIME, TRULY UNIQUE PROPERTY! 44 ACRES WITH 860' OF COMPLETE SERENITY. TUCKED OUT OF THE WIND WITH BEAUTIFUL VIEWS OF ROGER'S POINT &AMP; PIPE . 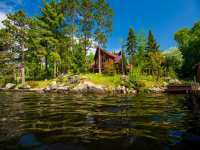 . .
PRICE REDUCED ON THIS EXQUISITE LAKE VERMILION FAMILY ESTATE! 5BR'S/5 BATHS. LG KIT W/TONS OF COUNTER SPACE/DINING RM W/PATIO DOORS&AMP;GREAT ROOM W/SOARING . . . 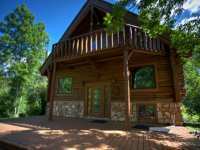 THIS MAJESTIC 5 BED, 4 BATH LOG HOME FEATURES MASSIVE LOGS, STUNNING FIREPLACES AND OPEN FLOOR PLAN. 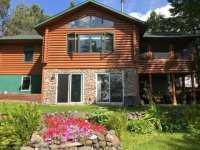 FEATURING A WALL OF LAKESIDE GLASS AND CUSTOM MILLWORK THROUGHOUT. . . .
LH4708 LONG LAKE LOG HOME WITH SANDY LAKESHORE! HEIRLOOM QUALITY HOME BUILT WITH MASSIVE LOGS. THE 4 BEDROOM FLOOR PLAN IS LIGHT, MODERN AND TASTEFUL WITH BREATHTAKING . . .
GORGEOUS, SOUTH FACING WESTERN RED CEDAR LOG HOME. SPECTACULAR VIEWS, VAULTED CEILING AND BEAUTIFUL FIREPLACE ALL WARM UP THE LIVING SPACE. HUGE MASTER BEDROOM THAT . . . THIS ONE-OWNER HOME IS A STUNNING CUSTOM BUILT LOG HOME FEATURING: A SOARING VAULTED CEILING WITH A SPECTACULAR WALL OF WINDOWS; AMAZING KITCHEN WITH GRANITE COUNTER . . . 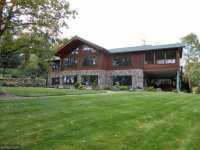 STUNNING LOG HOME ON OVER 7 ACRES &AMP; 350' SHORELINE W/ WALKOUT BASEMENT HAS BRAND NEW CUSTOM CABINETRY, GRANITE COUNTERTOPS &AMP; A QUALITY APPLIANCE PKG. NEWLY . 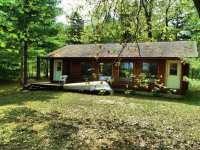 . .
BEAUTIFUL, REAL LOG CABIN ON SAUK LAKE WITH GORGEOUS LAKE FRONTAGE. YOU WILL ENJOY MORNING COFFEE WITH SWEEPING LAKE VIEWS FROM THE EXPANSIVE DECK OFF THE KITCHEN. HUGE . 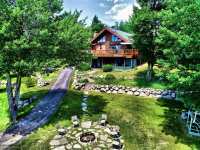 . .
NEARLY 60 WONDERFUL ACRES, 2 HOMES, 5 OUT BLDGS, 1500+ FT. OF RUM RIVER FRONTAGE, ALL WITHIN COMMUTING DISTANCE. WELCOME HOME TO YOUR FULLY FURNISHED TURN KEY WYOMING . . .
138 ACRES ON 3 LAKES THAT TOTALS 5670 FT OF WATER FRONTAGE. 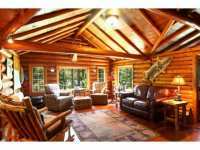 YEAR ROUND LOG HOME OVERLOOKING PRIVATE PINE LAKE THAT HAS ONLY ONE OTHER CABIN. HOME FEATURES A LOFT . . . THIS BREATHTAKING WOODED, RIVER-FRONT RETREAT IS NESTLED IN NEARLY 3 ACRES OF SERENITY &AMP; SURPASSES IN QUALITY &AMP; CRAFTSMANSHIP! A GORGEOUS WRAP AROUND DECK . . . THIS HOME IS A STUNNER!! FROM BEING FEATURED IN THE NEW YORK TIMES MAGAZINE TO GRACING THE COVERS OF LOG HOME GUIDES, THIS CUSTOM BUILT 3 BEDROOM WALK-OUT HAS EVERYTHING . . .
BRING YOUR BOAT AND ENJOY SOME OF THE BEST FISHING IN THE STATE. 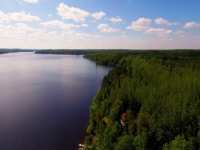 THOUSANDS OF ACRES TO FISH AND EXPLORE WITH ACCESS TO SWIFT AND LEECH LAKE FROM BIG BOY. SPECTACULAR . . . 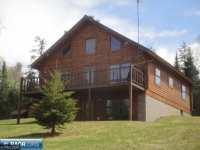 BUYERS PARADISE, LOG HOME NESTLED ON 1.4 AC AND 485' OF PRIVATE LAKE FRONTAGE ON STRAIGHT LAKE. 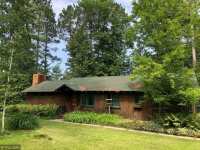 4 BD, 2 1/2 BATH, ALL LIVING FACILITIES ON MAIN LEVEL INCLUDING A LG . . . 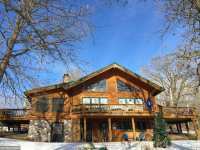 THIS UPSCALE LAKE ACCESS HOME ON PRESTIGIOUS KABEKONA BAY OF LEECH LAKE FEATURES CATHEDRAL CEILINGS, OPEN CONCEPT, GAS FIREPLACE, MAIN FLOOR MASTER SUITE &AMP; LAUNDRY . . . 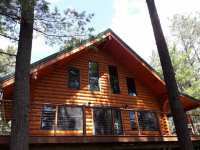 CUSTOM BUILT LOG HOME IN VOYAGEURS RETREAT AT GIANTS RIDGE WITH A PRIVATE SETTING INCLUDING STUNNING VIEWS OF WYNNE LAKE. 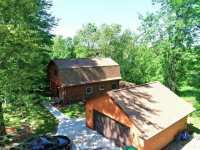 1.8 ACRE WOODED LOT, OPEN FLOOR PLAN, VAULTED . . . 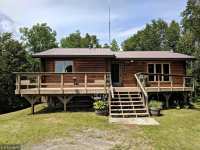 FURNISHED BISSONETT-BUILT SQUARE LOG RETREAT SECLUDED IN TOWERING PINES ON 14 ACRES BORDERING STATE LAND &AMP; 635 FT SOUTH FACING SHORELINE OF INCREDIBLY CLEAR EAGLES . . . 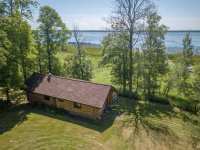 STUNNING LOG HOME SET BACK OFF HIGHWAY 53 ON SECLUDED MURPHY LAKE, LEVEL LOT WITH 206 FT SOUTH FACING SHORELINE, SANDY SWIMMING, JUST 10 MINUTES TO EVELETH &AMP; . . . 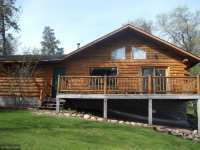 THIS CAPTIVATING HAND SCRIBED CEDAR LOG HOME IS A RARE FIND NESTLED ON OVER 19 PRIVATELY OWNED ACRES IN THE BEAUTIFUL CHIPPEWA NATL. FOREST. THIS HOME LENDS ITSELF WELL . 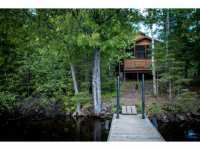 . .
FALL IN LOVE WITH THIS PRIVATE, WOODED, NATURAL SETTING OVERLOOKING THE CRYSTAL CLEAR, DEEP BLUE WATERS OF DEER LAKE! THIS ROOMY, 2 STORY LOG HOME WITH FULL WALK-OUT . . . 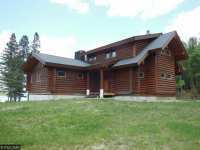 CUSTOM BUILT YELLOW STONE LOG HOME ON LORD'S LAKE WITH A WALKOUT BASEMENT. VAULTED CEILINGS AND THE LOFT CREATE LARGE OPEN SPACES. ARTISAN DESIGNED FARMHOUSE SINK AND . 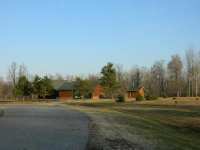 . .
2 ACRES - PRIVATE LAND- ISLAND LAKE TRUE LOG HOME- CHARMING, STYLISH SQUARE-LOG HOME ON JUST OVER 2 ACRES OF PRIVATE LAND WITH 160 FT OF FRONTAGE ON ISLAND LAKE~3 . 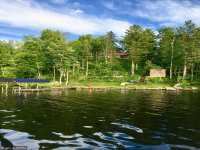 . .
WOMAN LAKE- A NICELY PERSEVERED LOG COTTAGE FROM THE 1920S, WHICH HAS A NEWER UPDATED KITCHEN,BATH, AND BEDROOMS, PLUS A FIELD STONE FIRE PLACE AND A VAULTED LOG BEAMED . . .
BIG SANDY LAKE! 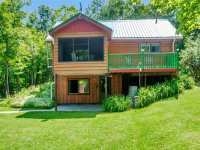 ENJOY THE AMAZING SUNSETS AND 205' OF LAKE FRONTAGE ON BEAUTIFUL BELL HORN BAY. BIG SANDY LAKE IS A 6,088 ACRE LAKE WITH A MAX DEPTH OF 84' AND FEATURES . 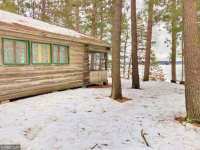 . .
TUCKED AMONG THE TOWERING PINES ON ELBOW LAKE IS THIS LIKE NEW LOG HOME. THE QUALITY IN THIS HOME IS EVIDENT: THE HAND SCRIBED LOOK OF THE LOGS, GRANITE FLOORING, CUSTOM . 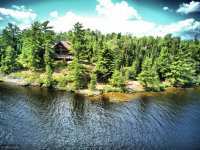 . .
SECLUDED BOUNDARY WATERS LOG CABIN RETREAT W/PANORAMIC WATER VIEWS, SET IN PINES ON APX 15 ACRES ADJOINING FEDERAL FOREST &AMP; 527 FT SOUTH FACING SANDY SWIMMING . 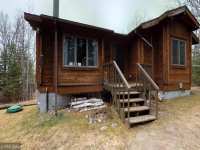 . .
AT THE END OF THIS LONG WOODED DRIVE YOU WILL FIND A WELL MAINTAINED LOG CABIN AT THE EDGE OF KABETOGAMA. NOT ONLY DO YOU HAVE THE 2 BEDROOMS IN THE MAIN HOME YOU HAVE . . .
BEAUTIFUL LOG HOME CONSTRUCTED WITH NATIVE LOGS. VARIETY OF NATURAL WOODS INCORPORATED THROUGH OUT, CEDAR, SPRUCE, NORWAY, BIRDS EYE MAPLE, OAK AND BLACK ASH. ALL MILLED . 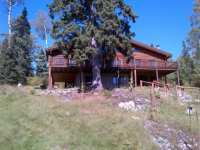 . .
BEAUTIFUL LOG HOME WITH VAULTED CEILING, GOOD PRIVACY, SAND SHORELINE! 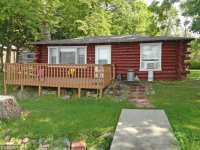 3 BEDROOM, 2 FULL BATHROOMS, FINISHED LOWER LEVEL WITH FIREPLACE AND BATH. GREAT LANDSCAPING, LAWN . 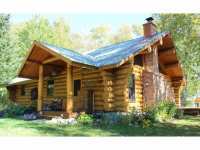 . .
LOG HOME WITH SEVERAL OUTBUILDINGS ON A MILE OF THE LITTLEFORK RIVER. OPEN FLOOR PLAN ON THREE LEVELS ALLOW FOR EXTRA ROOMS AS YOU SEE FIT. USE THE 169 ACRES TO YOUR . 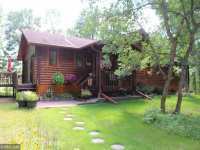 . .
NORTHERN MINNESOTA CHARM ABOUNDS IN THIS 4BR/2BA YEAR ROUND HOME SITUATED ON OVER 2 AC. WITH A GENTLE SLOPE TO 348 FT ON SWAN LAKE. HARDWOOD FLOORS, SPACIOUS KITCHEN . . .
UPPER ISLAND LAKE LOG HOME IN CROMWELL MN. WALK OUT HOME W/115 FT OF NICE SHORELINE. GRADUAL ELEVATION TO THE LAKE. WOOD AND TILED FLOORS. 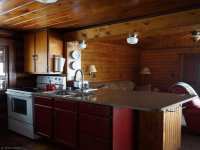 3 BEDROOMS AND A FULL BATH. . . .
LOG HOME ON THE SHORES OF CRANE LAKE, THE EDGE OF THE VOYAGEURS NATIONAL PARK, BWCAW AND CANADA. 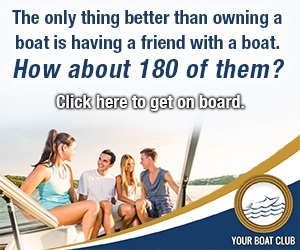 ENJOY ALL THAT THE AREA OFFERS IN THE WINTER AND SUMMER WITH THIS YEAR . 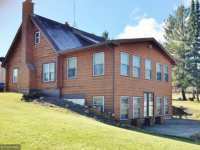 . .
BEAUTIFUL 3 BD, 2 BA LOG HOME ON 28 ACRES. THE PRIVACY YOU'VE BEEN WAITING FOR PLUS 1300 FEET OF LAKE HAGGERTY FRONTAGE TO CALL YOUR OWN. HARDWOOD FLOORING, GAS . 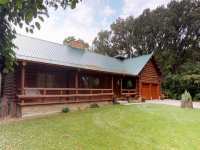 . .
NESTLED ON 2 SPACIOUS ACRES BETWEEN HEAVILY WOODED LOTS RESTS THIS CHARMING 2-3 BEDROOM LOG HOME. WITH OVER 300 FEET OF LAKESHORE ON THIS SENTINEL LAKE KNOWN FOR ITS . . . 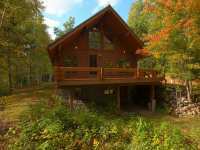 ENJOY COUNTRY LIVING CLOSE TO TOWN, WITH THIS CUSTOM LOG HOME ON THE LITTLEFORK RIVER. JUST OVER TEN ACRES GIVES YOU PLENTY OF ROOM FOR THAT HOBBY FARM ON THIS PARTIALLY . 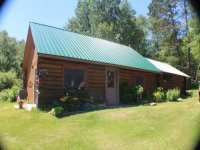 . .
BEAUTIFUL LOG CABIN WITH OVERSIZED 3 CAR GARAGE WITH LAKE VERMILLION ACCESS. GREAT FOR THE OUTDOORSMAN WHO LOVES TO HUNT AND FISH. 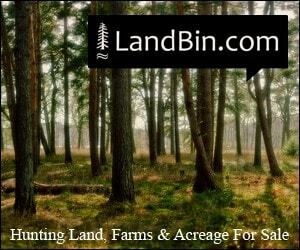 100 ACRES OF STATE LAND DIRECTLY . 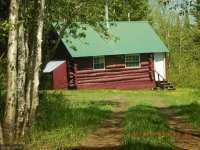 . .
MITCHELL LAKE LOG 3 BEDROOM 1 BATH 2 STORY CABIN THAT CAN ACCOMMODATE 6 EASILY. FRENCH DOORS LEAD TO LARGE CEDAR SCREENED PORCH. PRIVATE DOCK &AMP; FIRE PIT. PART OF . . . 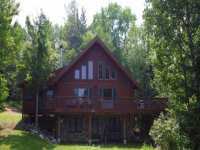 THIS WELL-MAINTAINED LOG HOME ON THE LITTLEFORK RIVER OFFERS SO MUCH PRIVACY AND TRANQUILITY. KICK BACK AND ENJOY THE COUNTRY LIFE ON 48 ACRES. HUNT, RIDE HORSES, OR . . . WELCOME TO LAKE LIFE AT ITS BEST! BUILT IN 1922, THIS CHARMING LOG CABIN HAS BEEN WELL LOVED AND MAINTAINED TO PRESERVE ITS ORIGINAL WIDE OPEN FLOOR PLAN, VAULTED . . . IT DOESN'T GET MUCH BETTER THAN THIS! 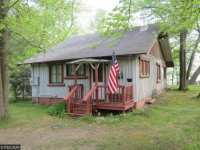 ADORABLE WATERFRONT CABIN TUCKED AWAY ON THE SHORES OF ROUND LAKE. PRIVATE SETTING WITH GENTLE BREEZES, WHISPERING LEAVES, AND . . .
A NATURALISTS DREAM! ABSOLUTELY PICTURESQUE SETTING! 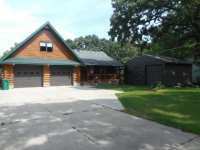 VERY PRIVATE MINNESOTA LOG HOME, OVER 2 1/2 ACRES OF PRIVACY. MATURE PINE TREES, GENTLE ELEVATION TO 5TH LAKE, . . . SIMPLY ADORABLE CUSTOM BUILT LOG CABIN. 1+ BEDROOM WITH 3/4 BATH, OPEN FLOOR PLAN WITH MAIN LEVEL LIVING AND VAULTED CEILINGS. 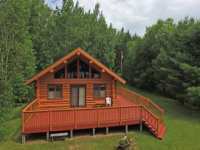 THE CABIN OFFERS THE SOUGHT AFTER "UP . 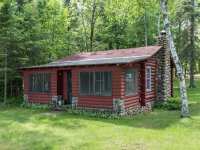 . .
SOUP LAKE LOG CABIN WITH 59 ACRES ON 600+ FT LAKEFRONT. 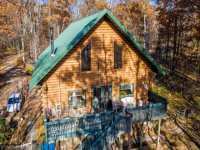 REMOTE UPDATED WILDERNESS RETREAT LOG CABIN WITH SOLAR ELECTRIC, STOVE, REFRIGERATOR, COMPOSTING TOILET, BACK UP . 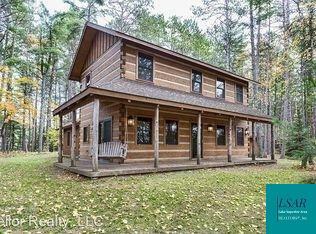 . .
1/6TH SHARE OWNERSHIP IN THIS LOVELY LOG HOME MAKES LAKE SUPERIOR LIVING TRULY AFFORDABLE. 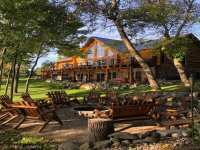 THIS 3 BR, 4 BA LOG HOME IS BREATHTAKING INSIDE &AMP; OUT. FEATURES INCLUDE 3 . . .
Let one of our experienced real estate agents be your guide on this exciting journey. 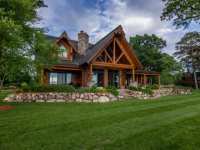 With offices throughout Minnesota & Wisconsin, LakePlace.com agents have access to more MN log home listings. 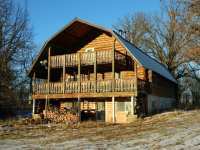 You found our MN log home webpage. Guess who else finds it every day? 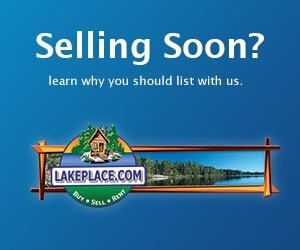 No one can put your log home in front of more active, qualified buyers than a LakePlace.com real estate agent. There are few images of the American frontier as iconic as that of a log cabin. To this day, a picture of a Minnesota log cabin evokes feelings of nostalgia for the wild, free spirit of the American frontier in the 1700's and early 1800's. Sure, they were rustic and often simple, but no other structure so embodies the intrepid spirit of early American settlers. We have images of folks such as Abraham Lincoln and Laura Ingalls Wilder, in their respective childhoods, living in these iconic structures. Centuries ago, settlers eager to lay claim to their very own piece of property travelled westward to Minnesota in search of a new life. The new frontier wasn't always as welcoming as they might have hoped. Native Americans sought to preserve their way of life, fighting the encroachment of these new settlers. Wild animals posed a daily threat to the physical safety of the new residents of the Minnesota frontier. Harsh weather in winter and summer posed significant risks to these new settlers, as well. In order to lay claim to property while simultaneously protecting themselves from the elements, the wildlife and the Native American tribes, many of these settlers chose to build log cabins. Early log cabins were constructed from felled trees, carefully selected as being approximately the same size in circumference. Red pine and cedar were common woods to use; however, in the North Woods of Minnesota, the plentiful white pine forests provided building materials for many of the historic log cabin structures. Notches were traditionally cut in the ends of the logs in order to safely and effectively stack the pieces. Logs were placed on alternating sides of the structure, building up the walls like a box. Once the sides of the cabin were built up, the spaces in between the logs were often filled in with mud or clay in order to insulate the structure from the wind and the elements, along with the added benefit of keeping out bugs in the summer. Early cabins frequently had no more than a dirt floor. More deluxe varieties included wood floors, fireplaces in the home and lofts. These structures were particularly common in heavily wooded areas, such as the forested lands of the North Woods in Minnesota. While log cabins were originally used as a basic home structure for early Americans, their use gradually changed as the years went by. People became more familiar with other types of construction. Canal systems were replaced by railroads, which were replaced by highway systems. With better transportation methods, brick, aluminum, concrete and vinyl became increasingly common building materials. More unusual building materials came into fashion and it was no longer necessary for people to forage through the woods for logs in order to construct their cabins. As a result, the nostalgic log cabin sadly fell into a period of disuse. Fortunately, the demise of the log cabin home was extremely short-lived as a result of their charm, livability and affordability. Today, log homes have made a dramatic resurgence in our culture. People are seeking more affordable and ecological building options. In lieu of expensive building materials, which are increasingly expensive to transport with rising gas prices, folks are opting for locally found materials, such as trees for their construction projects. People are looking to reduce their carbon footprints by minimizing the distance their building materials have travelled. 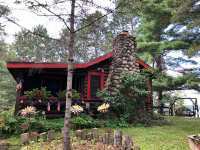 Sustainable woodland farming has made log homes ecologically and economically advantageous for many folks looking to build their very own vacation home on the shores of one of the outstanding lakes of northern Minnesota. 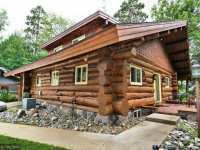 Imagine owning your very own log home on the shores of a MN lake. The very thought evokes images of the frontier and the wondrous freedom that accompanies experiencing nature first hand. Step outside your door; breathe deeply of the crisp, clean air. Plan a day of fishing or an afternoon of water-skiing. 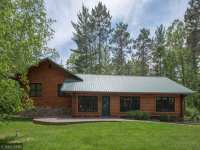 Regardless of how you choose to spend your day, you are sure to appreciate and enjoy having a cozy Minnesota log home to return to as the cool night of evening descends in the North Woods. Perhaps when you think of a log cabin, you think back to the primitive structures of yesteryear. While it is true that log cabin construction does hearken back to a simpler time, it certainly isn't true that modern log homes need to be simple structures. Today's log homes can be equipped with virtually any amenity your heart might desire. Multi-storied structures complete with modern kitchens, luxury baths, decks and swimming pools are all within the realm of possibilities today. Many log homes have wood interiors, which create a warm, cozy atmosphere where residents and visitors alike will always feel welcome. 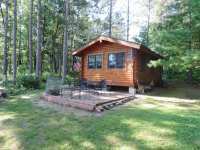 After an active day in the North Woods, imagine grilling up your freshly caught fish for dinner and then relaxing out on the deck, perhaps in the hot tub, of your log home. Or, in winter, imagine cozying up to a roaring fire in a stone hearth fireplace, listening to the sounds of the snowy wind whistle through the tree tops outside. Nothing could be cozier than enjoying time with your family in a secluded log cabin on a cold winter's night. Log homes provide a tangible connection to both our past and the great outdoors. The very feel of a log home encourages those who enter it to turn off their cell phone, set aside their laptops, kick up their feet and just take the time to enjoy the company of friends and family. If constructing a log home sounds like a wonderful idea, there are several possible routes. 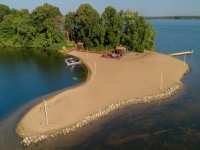 First and foremost, it is necessary to secure an ideal piece of property, preferably lakefront. Carefully consider all aspects of your property before you make the commitment to buy. What type of sun exposure will your home have here on this piece of property throughout the year? What is the view from the property? Is there a possibility of building a deck, or is there a swimming beach? What sorts of building restrictions or codes are in effect in the jurisdiction where you are buying the property? Do you need any sort of special building permit in the area? What sort of drainage does the property have? These are all important considerations as you embark on the adventure of buying real estate where you plan to construct. Once you have identified and obtained the perfect piece of lakeshore property, constructing your own dream home in the North Woods can be a terrific idea! Buying a pre-fabricated or modular home can be a great way to get started. These sorts of log homes are terrific for those who are handy, but not entirely familiar with architecture and building techniques themselves. For those who are truly familiar with architecture and general contracting, it is possible to start from scratch. Be cautious though and know your limitations. Biting off more than you can chew with a building project can have disastrous consequences and all of the "do-it-yourself" saving can be quickly rendered obsolete by the cost of an expensive correction. If you are familiar with construction materials yourself, you can plan and construct your own log home; however, most of us will probably seek a contractor to assist us with the building process. It is important to make sure that you carefully select a reputable contractor with a proven track record of success and customer satisfaction. If you have friends, family members or neighbors who have constructed their own homes, ask them for comments, both positive and negative, about the contractor they chose. Research and read all available online reviews concerning your contractor. Be mindful though; online reviews can be easily manipulated by contractors or their competitors, so take these with a grain of salt, so to speak. Don't be afraid to ask your prospective contractor for references from former clients. A contractor who refuses to allow you to speak with past clients should not be trusted to handle your building project. Do your homework before you sign on the dotted line with any contractor. Once you have chosen a contractor, make sure that you carefully oversee the process and feel free to ask questions. It is your home, after all. It is true that building a log home can be a daunting, monumental task. For those who are hesitant to embark on such a project, never fear. There are other possibilities. While the challenge of building can be enticing, many fans of renovation opt to purchase a pre-existing log home and then redecorate and refurbish the property to suit their needs and specifications. There is a certain satisfaction that occurs when you take an existing property and adapt it to your own needs and preferences. Not to mention, moving in this direction can be very affordable, particularly if you are willing to roll up your sleeves and do a lot of the work yourself. Real estate prices are historically very affordable in the North Woods of Minnesota, particularly when compared with the overly inflated prices of the east and west coasts of the United States. The North Woods offers property that is affordable without sacrificing any of the charms and activities that can be found in more densely populated areas. While buying real estate in Minnesota is relatively affordable for the average American family, it is also important to realize that property values have historically appreciated, often very well in this region. With the right location and proper maintenance, your dream log home can be an investment in your family's financial future. When contemplating ownership of a log home, it's important to remember that this can be so much more than a vacation home for you and your family. 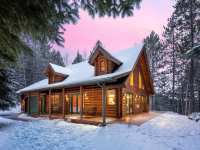 Log homes can be excellent for year-round living and many folks - from relocated families to retired individuals - choose to live in these outstanding structures in the beauty of the North Woods. Even if you are unable to utilize a log home on a year-round basis yourself, use of the property can always be made by other friends and family members. Alternatively, the property can be rented out to other vacationers in an effort to generate some income from your property. Renting out the home to others can be a great way to avoid idle times when the property sits unused. So often, our modern vacations are packed full of expensive amusement parks and high-priced attractions. Many times we return from our vacation and joke about needing, "a vacation from vacation." Why do we continue to do this to ourselves? Why not choose a secluded spot to return to year after year; a spot where you can truly relax in the peace and solitude of the great outdoors, free from the pressures of everyday work and living? The North Woods of Minnesota provides such a place. A place where you can fish, hunt, hike, bike, antique shop, sunbath, read, water-ski, cross country ski or inner tube until your heart is content. Returning here year after year to your very own log home will provide you with countless memories and ample opportunities to truly relax in the tranquility of the North Woods. To start the process of searching for a piece of land or an existing log cabin, it can be invaluable to have a professional agent to assist you through the process. 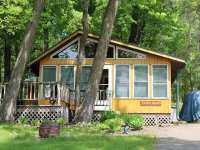 The folks at Lakeplace.com can provide extremely useful advice as your embark on the journey of owning your very own MN log home. Furthermore, the professional agents of Lakeplace.com can assist you in your commercial real estate buying ventures, as well. 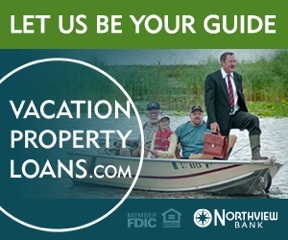 This can be particularly useful for folks who are looking to relocate their businesses to the North Woods. So, what are you waiting for? Peruse through the listing online at LakePlace.com and contact an agent today. 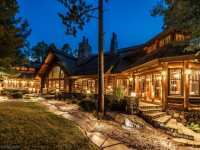 With a myriad of breath-taking lakes and countless acres of pristine old world forests, there is perhaps no better location in the world than Minnesota to own a gorgeous log home!